The Pop Group's Mark Stewart is returning to the fray with a new limited edition release later this month, followed by an album next year. The double A-side 7" is due out on November 25th, and features 'Children Of The Revolution' and 'Nothing Is Sacred'. It's limited to 500 copies and its release arrives as part of the Black Friday record store celebrations. 'Children Of The Revolution' is, as the name suggests, a take on T-Rex's original. But it's twisted into a harsh, violent new form, thanks to Stewart's teaming up with Kevin Martin in his guise of The Bug. The idea of a Martin/Stewart pairing is an exciting one - both have done more than most to bring dub influences kicking and screaming into UK music, and imbued them with political resonance like few others. The resulting track is a short sharp shock of ferocious, abrasive, industrial dancehall. 'Nothing Is Sacred' finds Stewart teaming up with Crass's Eve Libertine, Berlin's Slope and Pop Group bassist Dan Catsis. It's less harsh on the ears but similarly firey, driven by fuzzed out funk bass. Stewart's album is due to be released early next year. It features a whole range of guests, including Kenneth Anger, Lee 'Scratch' Perry, Richard Hell, The Raincoats' Gena Birch, Primal Scream and Clash/PiL guitarist Keith Levene. 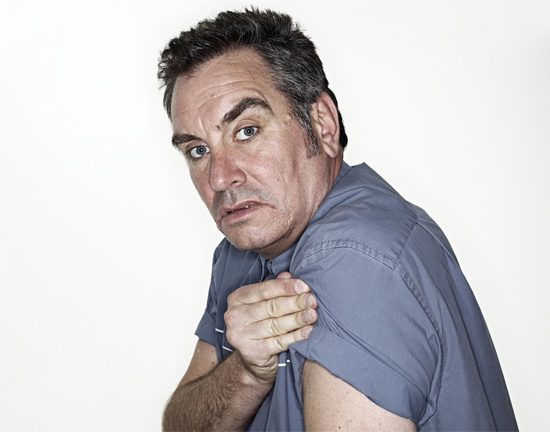 For more from Mark Stewart, choose from his Twitter, Facebook or Youtube.